When I was lecturing, one of the creative limitations I found with students was a lack of knowledge about the anatomy of movement. They would build characters and creatures that looked ok. But more often than not they built them with meshes that popped and deformed badly. This was not due to the modifiers and underlying deformers being incapable of controlling vertices. But was because the students lacked knowledge about how the model should deform prior to building the mesh. My solution was to take a break from software education and begin an education in character design and movement. I utilized a couple of books to do this. I am not suggesting that you buy these books but I believe its nice to have your own copy. You could however get these ordered in at your library. I hope people out there have access to one. If you don't I will try to find decent links to similar information and stick them in the TFAS library. Blair created some of the easiest to follow guides to animating characters and the detailed movement description and images provided in his books are a boon to understanding animation and character design. You should pay attention to the ways the characters are expected to move. Although this book describes how to use 3DS Max to build the characters. The processes are exactly the same in any 3D software. If you utilize this knowledge in blender you will create models that don't screw up when you animate them. Another really great thing to do is check out how others have designed their character meshes. 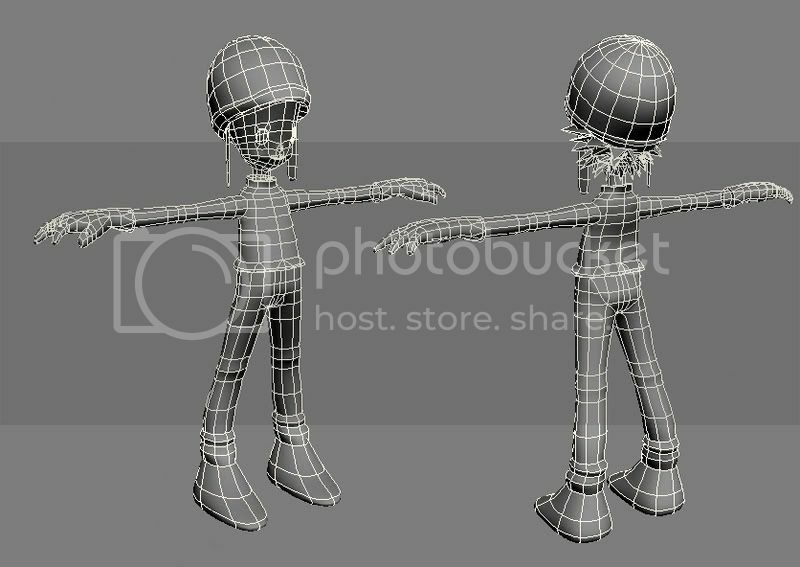 You will soon get a really good feel for the shapes and designs you will require to get your character animating without deformation.